This is something that many Thai people, including me, like to have in the fridge. 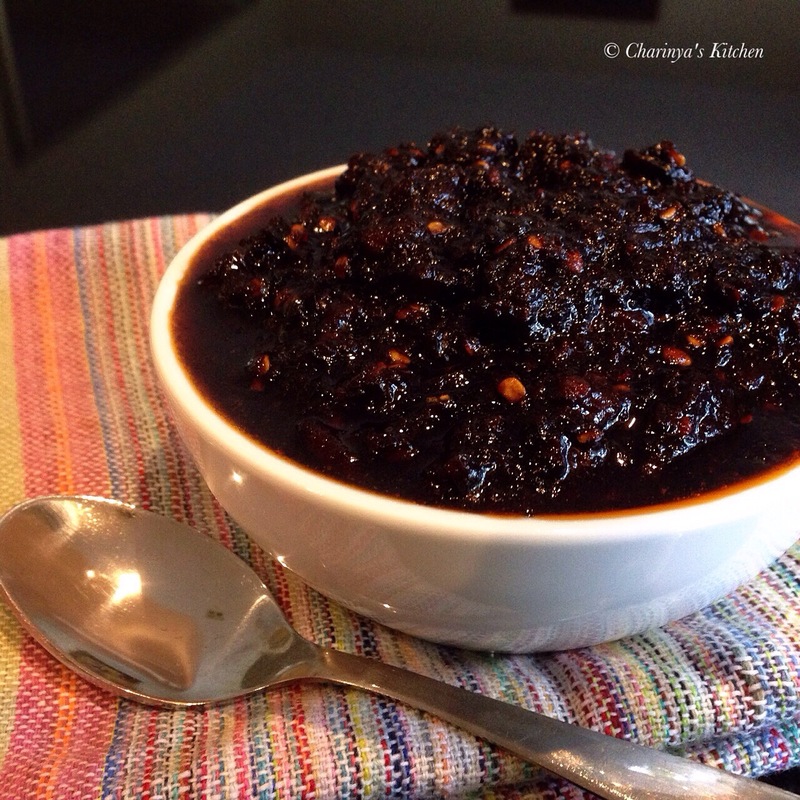 The chilli jam can go alongside many dishes to add hot flavour. 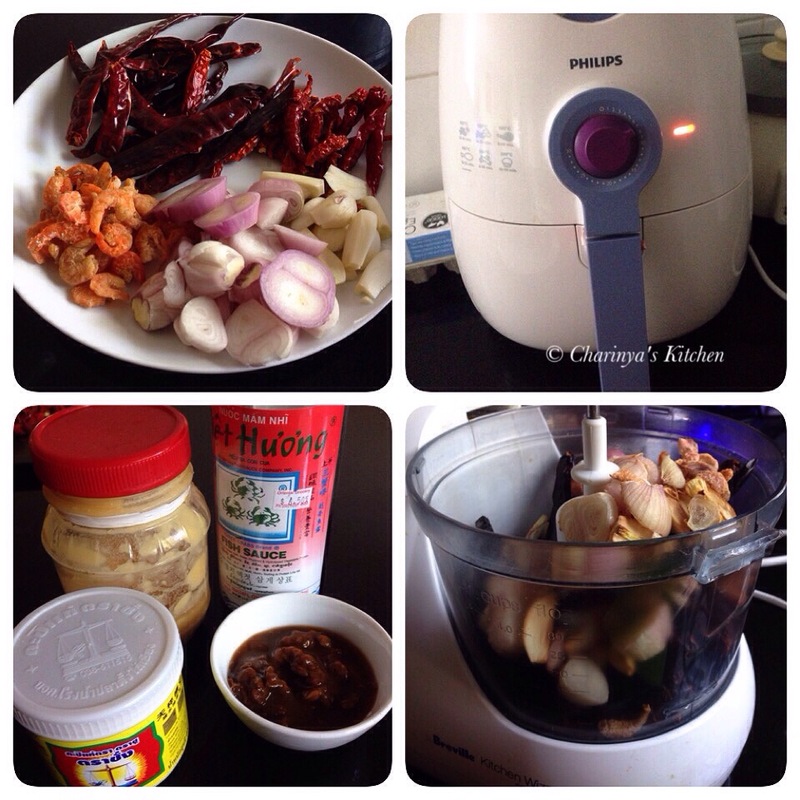 I love to have it with some steamed vegetables, boiled egg or fried fish. The recipe here is just a guide, as Thai cuisine requires tasting while cooking and adjusting to your preference is more important than measurement. • Dried chilli. 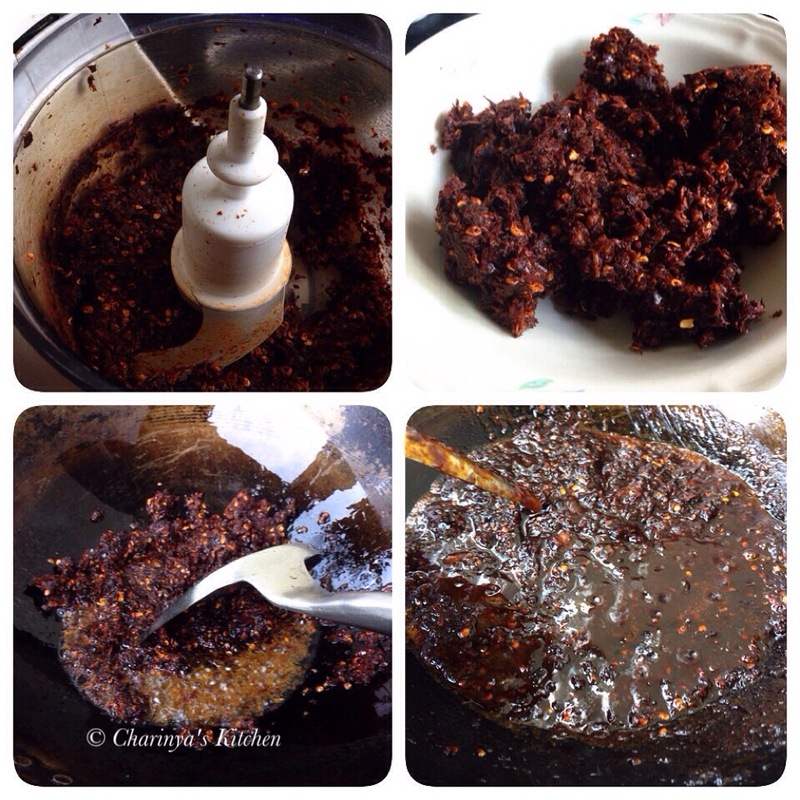 I use 60% big dried chilli, which is not a hot chilli but will give the desired texture. 40% dried small chilli will give the hot flavour. You can increase or decrease the two types of chilli the way you like. 1. Roast the ingredients individually in a pan or wok. I use an air fryer. Be careful the chilli will burn so quickly, while the garlic and eshallot take longer. 3. In a wok add oil generously and set in low heat. 4. Fry the chilli in the wok until fragrant. 5. Add seasoning, starting with a little bit and tasting it before adding more. Add water or oil if it is too dry. 6. When the chilli jam is slightly darker then turn the heat off and let it cool before serving or keep in the container and leave in the fridge. 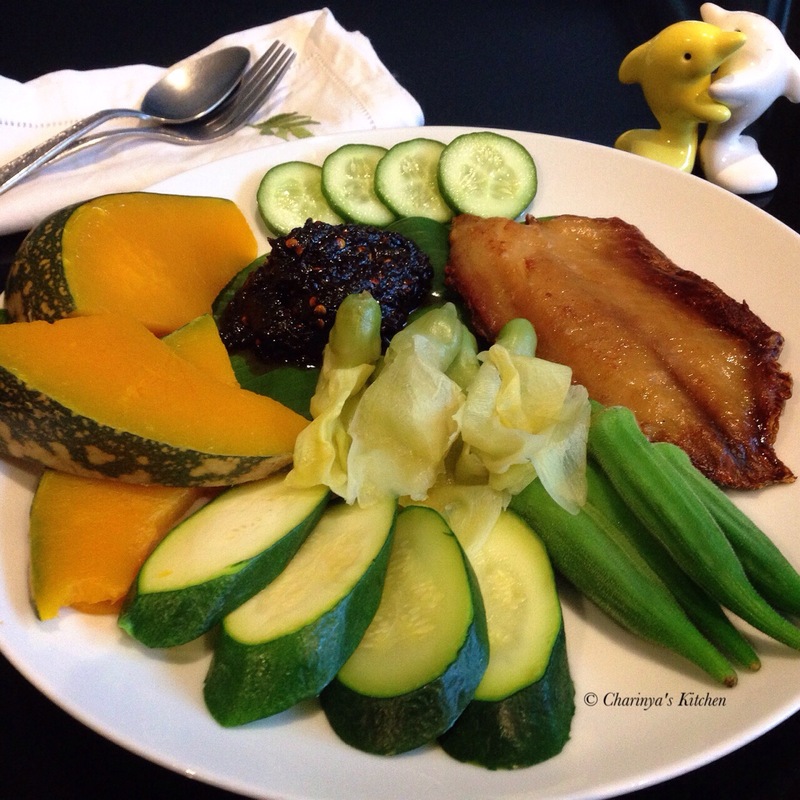 Below is the photo of chilli jam served with fried fish and steamed vegetables.